For December DC Comics are continuing to their theme variant covers but this time there is a twist. Instead of just normal variants, each variant will come three varieties: full colors, inks, and pencils. The buyer won’t know which of the three they will get as they will all come in the following black polybag. In addition to the three normal varieties (color, ink, pencils) one lucky buyer will truly hit the jackpot as each artist created an original 1 of 1 sketch cover which was slipped in the mix as well. 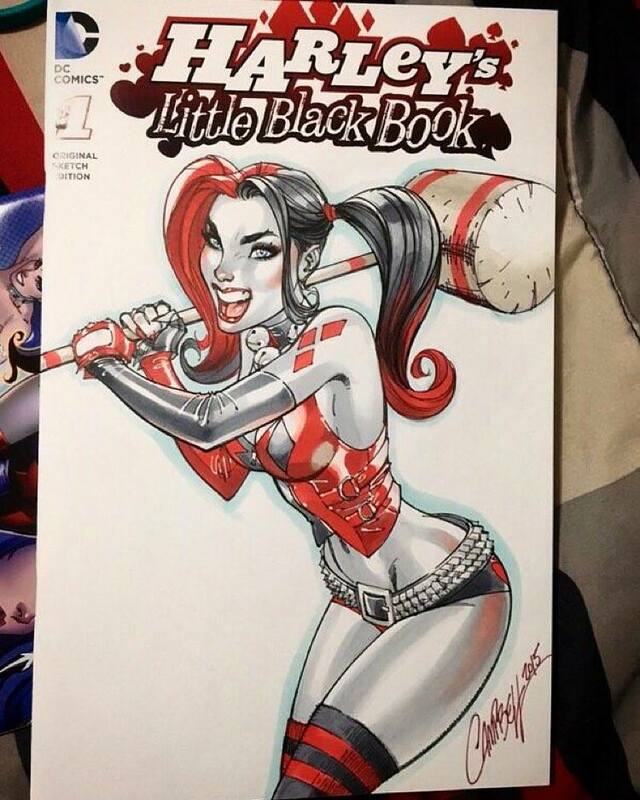 Here is J. Scott Campbell’s original sketch variant that he posted on his Facebook page. Sadly with the number of collector’s that will buy copies of these books and never open them its likely that a few of these original sketch variants will never see the light of day.